BT are set to make their return to the mobile phone business, marking their first dalliance in the business since the days of BT cellnet. The deal was originally announced back in May, when the company made public their intention to return to the consumer mobile phone market. In order to achieve this goal, BT have announced a partnership with Everything Everywhere (EE), the somewhat beleaguered amalgamation of the old Orange and T-Mobile networks. The terms of this arrangement mean that EE will provide BT with the network infrastructure, including 4G – the super-fast connection that EE debuted in the UK – allowing BT to push this service on as a white label reseller. Its understood that BT have struck an exclusive deal with EE, meaning that BT will be the only company allowed to make use of the extensive EE network. This effectively blocks off other competitors from taking a similar path to market, and as such allows BT to be the only company who can get into bed with one of the UK’s largest phone operators. As of yet, we understand, the contract remains unsigned, although sources indicate that this will change over the next few weeks. BT’s main interest is tied to their Wi-Fi platform. The company bet big on broadband and internet services when they took on the Premier League football package. This is intended to be the company’s trojan horse, allowing them to leverage the UK consumer market towards BT Infinity broadband. The new deal with EE will make it easier for BT to tag 4G connectivity onto this package, as well as opening up the possibility that BT will launch their own branded phone network in 2014. We expect the focus will remain targeted on providing consumers as well as business users with better ‘on the go’ connectivity though. 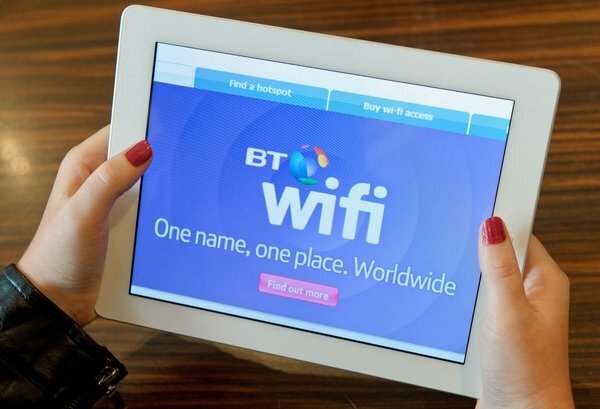 BT recently stressed the importance of their Wi-Fi scheme to the company, stating that this is something that they “plan to build on” (BT CEO, Ian Livingston). As of yet, no details have emerged over the business model and costing of this deal. On the surface of it, a new market entrant with deep pockets is the last thing that EE needs to encourage, whether or not that market entrant is built on their technology. BT have shown a new willingness to spend cash over the past year, and this is a competitive threat to EE. EE put their bags into the 4G basket, bidding to win exclusivity in the UK for the new superfast connectivity. This exclusivity, which was heavily promoted with large-scale ad campaigns, has now ended. The company no longer have 4G as their distinctive USP, and its widely accepted that they failed to capitalise on this opportunity. We’ll keep you posted about new developments as they emerge.